Critical Mention has developed a media monitoring tool for today's multi-channel 24/7 world. Critical Mention searches and sends real-time alerts for keyword and brand mentions on global TV, radio, online and social media. 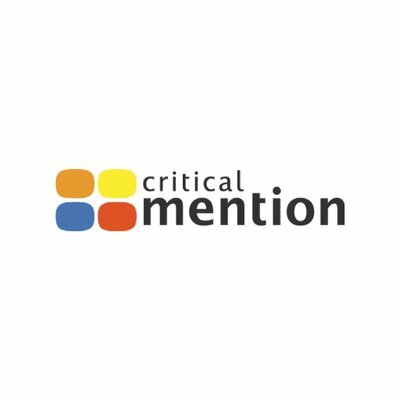 Critical Mention is a media monitoring tool enabling marketers to find, share and store brand mentions in a central searchable database. Critical Mention makes analysis easier with reports displayed in user-friendly word clouds and graphs, digitizes transcripts and have results instantly displayed and shareable.